Three shelves divide our bookcase into four large sections, ideal for displaying your photos, vintage train collection, or maybe even a book or two! And, everything will stay nice and orderly - and visible - behind the two glass fronted doors which are overlaid with an intricate lattice design. Finished in our Bayberry blue rub-through, a color that will enhance any decor. 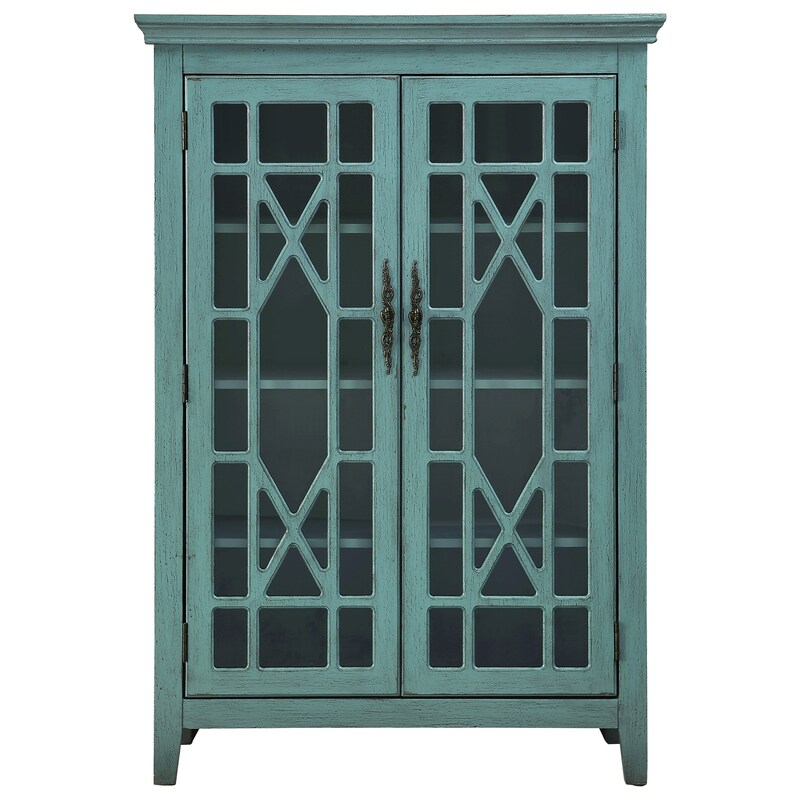 The Clifton Two Door Bookcase by Coast to Coast Imports at Zak's Home in the Tri-Cities, Johnson City, Tennessee area. Product availability may vary. Contact us for the most current availability on this product. Browse other items in the Clifton collection from Zak's Home in the Tri-Cities, Johnson City, Tennessee area.